Nearly 33,000 people live in the Buller, Grey and Westland Districts, a 400 km long region between the Southern Alps and the Tasman Sea. This makes the West Coast one of the most sparsely populated regions in New Zealand. The remote nature of many small and isolated communities poses specific health challenges around sewage treatment and disposal, and potable water. The natural beauty of the area attracts more than 1 million visitors a year, largely during the spring and summer months. This level of tourist activity carries some environmental risks for recreational water contamination and infectious diseases, especially in popular destinations such as Fox and Franz Josef Glaciers and Punakaiki. The predominantly young and transient population of tourists and those employed in the tourism industry creates concerns around safe sexual behaviours and responsible alcohol use. Healthy eating, being physically active and advocating the smokefree lifestyle are also important focuses for the staff at the Greymouth office. Significant work is currently targetted at promoting healthy ageing to the region’s older people, through initiatives around physical activity and injury prevention. As partners in Active West Coast, Community and Public Health work with District Councils to improve and promote opportunities for physical activity. The Grey District Aquatic Centre is open and well used by the community, and major developments are occurring in Buller and Westland as part of their new physical activity strategy. Staff are also contributing to the development of a region-wide walking and cycling strategy. Download an information sheet on the organisational structure of Community and Public Health. 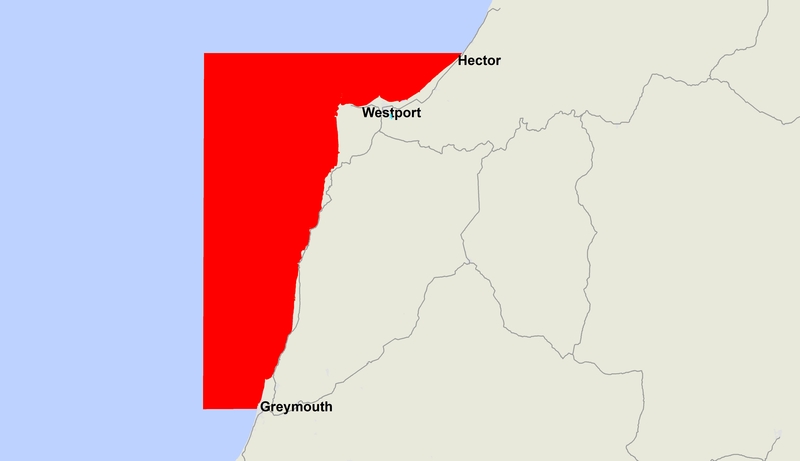 A public health warning has been issued advising the public not to collect or consume shellfish harvested from between Hector south to Greymouth on the South Island’s West Coast. The area covered for the previous 13th February warning has been extended – from Greigs to Greymouth. Routine tests on shellfish samples taken from Cape Foulwind has shown levels of diarrhetic shellfish toxins above the safe limit. Anyone eating shellfish from this area is potentially at risk of illness. Ongoing testing will continue. Mussels, oysters, tuatua, pipi, toheroa, cockles, scallops, catseyes, kina (sea urchin) and all other bivalve shellfish should not be eaten. Be aware that cooking shellfish does not remove the toxin. Pāua, crab and crayfish may still be eaten if the gut has been completely removed prior to cooking, as toxins accumulate in the gut. Gut contents could contaminate the meat during the cooking process, if the gut is not removed. Phone Healthline for advice (0800 61 11 16) if anyone becomes ill after eating shellfish from an area where a public health warning has been issued or seek medical attention immediately. Also contact Community and Public Health (03 768 1160) and keep any leftover shellfish in case it can be tested.